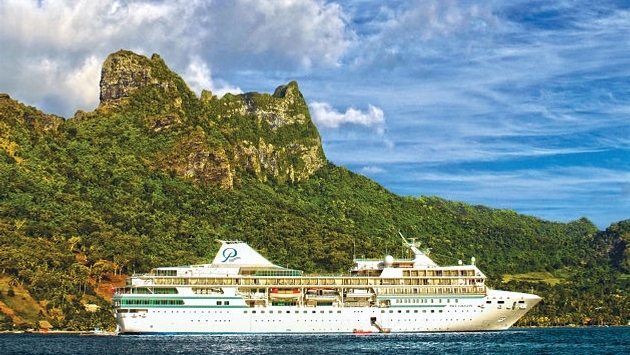 Paul Gauguin Cruises is offering a Wildlife Discovery Series aboard 2017 voyages, as part of its partnership with the Wildlife Conservation Society (WCS). WCS has been saving wildlife and wild places worldwide for over 120 years and aims to protect half of the planet’s biodiversity, while ensuring a positive impact on millions of people. The Wildlife Discovery Series is a new program where guests of The Gauguin have the opportunity to learn about marine wildlife and habitats from some of the world’s most fascinating scientists, oceanographers and conservationists who will be sharing their research and expertise during presentations aboard select sailings. From WCS headquarters in New York, Holmes supervises conservation programs across the Caribbean, North America, Latin America and Western Africa. As an Associate Conservation Scientist for WCS global marine programs, Dr. Darling coordinates a coral reef monitoring program across Melanesia, Indonesia, the Caribbean and Western Indian Ocean. Dr. Mangabhai is currently based in Suva, Fiji, and has worked for WCS since 2014. Dr. Mangabhai specializes in designing marine protected areas, assessing coral reef resilience, monitoring fisheries, and evaluating the return on investment of conservation action. Dr. McClanahan specializes in coral reef ecology. He studies the links between coral reef ecosystems and the humans who depend on them, integrating marine biology with cultural psychology to achieve social-ecological conservation outcomes. Dr. Muthiga has dedicated her career to protecting East African marine ecosystems, managing projects in Kenya, Tanzania, Madagascar, Mauritius and the Seychelles. Dr. Tewfik is currently based at the Glover’s Reef Research Station and South Water Caye Marine Reserve. His expertise includes marine protected areas, sustainable fisheries, community-based conservation and livelihood diversification. Dr. Jupiter and her team collaborate with local communities and governments to protect the region’s biodiversity, along with the livelihoods and well-being of the people. Dr. Robards manages a trans-boundary conservation program that comprises Alaska, the Inuvialuit Settlement Region in northwestern Canada, and the Chukotka Peninsula in northeastern Russia. In this role, he collaborates with indigenous hunters in Arctic communities, as well as policy makers in Washington D.C., to protect marine mammals, shorebirds and other threatened species in remote northern habitats. Paul Gauguin Cruises is proud to partner with WCS to offer this program on select sailings in 2017. For additional information, visit pgcruises.com. Vanessa Bloy has been director of public relations for Paul Gauguin Cruises for four years and in the hospitality industry for 19 years.